In a day and age where IPAs and Double IPAs run rampant, it takes a lot for one to stick out. 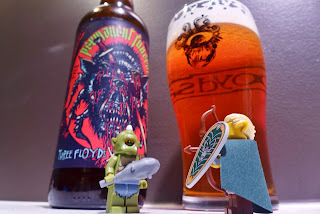 Fortunately Three Floyds is really good at sticking out, whether it's their label artwork, beer names, metal band collaborations, or more importantly their beers. Permanent Funeral is one FFF's latest metal band collaborations with Pig Destroyer (do the bands actually show up to the brewery and help?) and is labeled as a "pale ale". While yes, it is pale and an ale, it is most certainly not in the "pale ale" category and recently won silver at GABF in the Imperial IPA category. The beer pours a golden orange with a dense 2-finger off-white head that leaves some lacing. Lots of fruit-forward hop notes with tangerine, pineapple, and mango; in general there's some nice robust bitterness here. There are some honey and biscuit notes provided by the malts that lend some balance and sweetness... and let's not forget some decent booziness as well. The body leans towards the heavy side, but soft carbonation and a dry finish keep it from getting too syrupy. I like how Russ clarifies the style in his piece. Three Floyds is notorious for calling IPA's pale ales (Zombie Dust, and Alpha King come to mind). They give zero fucks, but it's good to point this out to readers. Just because it says Pale Ale, doesn't mean it's actually a pale ale. Zombie Dust and Alpha King are both sytlistically IPA's as well. My one critique here is with the Grapefruit Jungle mention. 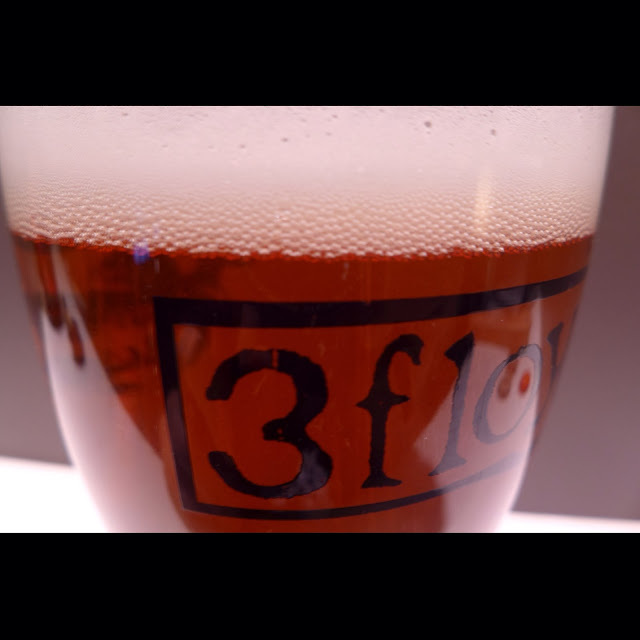 GFJ, being a standard IPA, should be compared with other standard IPA's. Just a personal preference. I also disagree that PF is 'WAY" better than either Heady or Pliny. Both Heady and Pliny offer completely different IIPA drinking experiences than PF. IMO, Heady is better than PF because of the intense grassiness it has. PF was a bit too syrupy for my taste, but for me it might be slightly ahead of Pliny. The difficult thing about Pliny is that it, much like Grapefruit Jungle, falls off drastically....and getting fresh Pliny here in Indiana is quite difficult. IMO Pliny is at its peak at about 10 days. I've had 6 day old Pliny before and that was right on par with Heady and PF. GFJ is probably one of my top 5 standard IPA's, BTW, as evidenced by me collected about 44 cans of it last summer and going through it in a couple weeks. Was insane how much that fresh GFJ tasted compared to 2 week old GFJ. Also, the whole Stone Enjoy By series is completely overrated and overhyped. There are sooooo many double IPA's that are better in my opinion. Ruination 10 in 2012 was substantially better than Ruinten in 2013 as well. 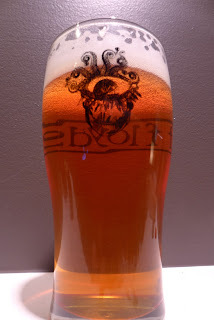 Would you sell this glass?